Belgium needs to shore up its finance, lower tax rates, and introduce better eco tax measures, in order to protect itself from future economic disturbances. 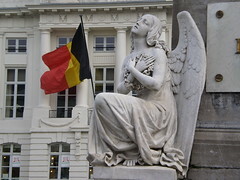 Throughout the financial turmoil of recent years, Belgium has been praised for its handling of the downturn, having felt only a relatively minor impact from the disturbances, which was followed by a quick recovery. However the country is now at an impasse, seeing its debt-to-GDP ratio increase to 97 percent, which is putting an indefinite delay on the government’s plans to create funds for potential financial problems in the future. 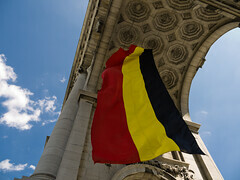 Belgian tax authorities have clarified their standing on a one-year old tax law on fund transfers to tax havens, after tax professionals claimed that the new rules were unclear and in need of more specifics. Recently the tax authorities of Belgium released a long-awaited circular intended to clarify a tax law that was introduced into the Belgian tax code on December 23rd 2009. The law concerned the reporting requirements for Belgian resident and non-resident business entities operating in the country which transfer funds or make payments to tax haven jurisdictions. Belgium has launched a campaign to attract greater numbers of foreign investors, predominantly by advertising the willingness of tax authorities to work with investors to create tailored tax packages which could lower effective corporate tax rates to below 25 percent. The European Commission (EC) has formally requested that the Belgian Government alter its legislation regarding taxation of interest and dividends received by foreign investment funds.